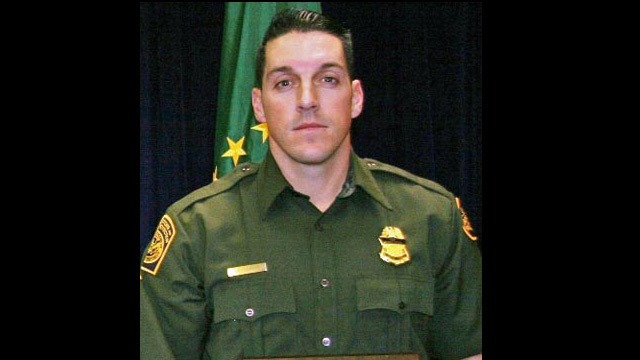 We have an exclusive interview tonight with the mother and cousin of murdered U.S. Border Agent Brian Terry, who was killed in connection with the disputed ATF gunning-running investigation known as "Operation Fast and Furious." On Monday, 12 days after the U.S. House held Attorney General Eric Holder in contempt of Congress for failing to release documents related to the operation, an indictment was unsealed in federal court that charges five men in the 2010 death of Agent Terry. The FBI is offering up to $1 million for information leading to the arrest of four of the accused, who are believed to be in Mexico. The fifth suspect is already in custody. Keeping them Honest, there are questions about why the Justice Department waited eight months to go public with the indictments. Reporter's Note: President Obama is running for re-election, and Mitt Romney is running to beat him…which can make for some strange politics in Congress. With all respect to Republicans who want to overturn your health care law, and mindful that they have every right to try, I am still amazed that with all the problems we have in this nation they took time in Congress today to force another “show” vote on the issue. I think it is abundantly clear that Republicans don’t like Obamacare. They spit the term out as if they are describing a particularly nasty bit of road kill. Voters get it. So I completely understand the ire of Congressional Dems who had to sit through the exercise. But now I turn the blade. The Republicans are not alone in this. I don’t think I’m drawing a false equivalency when I say the real problem is that both parties perpetually do such things, and they only complain when the opposing side tries to turn that trick. I can’t even count the number of times over the years that I have watched members of Congress stand on the floor at the Capitol, pounding on the podium and screeching about some grave injustice in the law, all while a vote looms which both sides know is for nothing but PR. Who has been guiltier of that over all that time, Republicans or Democrats? I don’t know, and I’m not sure many voters care. Because it is a perpetual motion machine. Each time either party does it, the other eventually feels compelled to do the same, and invariably their defense is a version of the school yard fight defense: He pushed me first! The solution does not lie in listening to the complaints of the opposition, but in each side learning to control itself. Democrats must call out Democrats who turn the floor into an arena, and Republicans must call out their own too. Because as far as calling each other out…well, we’ve already tried that…and the dog and pony show just rolls on and on and on. Flying back from New York tonight, so I’ll be a bit out of touch, but if you want to call in the morning I’ll be around. Tom Cruise is one of Scientology's most high profile members. CNN's Kareen Wynter takes a look at whether the pursuit of major celebrities has helped or hurt the church. Some first-time chip offenders known as the 'BBQ chip bandits' snack their way on to the RidicuList.